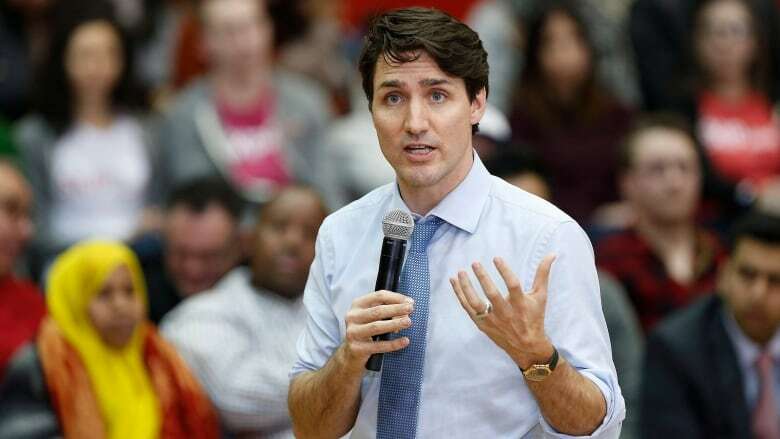 Prime Minister Justin Trudeau was unequivocal in his defence of the federal government's Canada Summer Jobs program during a town hall in Winnipeg on Wednesday night, arguing that groups actively fighting against LGBT inclusion and a woman's reproductive rights are "wrong." The evening included a broad range of questions, such as one about his government's decision to require all groups that receive federal summer jobs funding to check a box affirming they respect the values set out in the Charter of Rights and Freedoms — including reproductive rights. It is something that has upset a number of faith groups who have argued that making the affirmation is tantamount to violating their religious beliefs. Trudeau said faith groups have always had an extraordinary and positive impact in their communities, and he hoped they would continue to do so. "There are certain groups that are specifically dedicated to fighting abortion rights for women and inclusion of LGBT communities. And that is wrong," he said to loud applause from the crowd at the University of Manitoba. "That is not something the federal government is going to fund. We are not rolling back the clock on women's rights." Trudeau said church groups do good work in the community and he hopes that continues. "No religious group is going to be barred from Canada's summer jobs on the basis of their beliefs, period. Anyone who tells you otherwise is pushing a political agenda," said Trudeau. Trudeau told the crowd that harassment in the workplace is a serious concern and pledged to look into allegations from a questioner that Canada Post may be fostering such an atmosphere. Trudeau made the pledge in response to someone who suggested that he had been bullied in the workplace. "It is not OK, it is never OK, to face situations of harassment or intimidation or bullying in any workplace in this country, but as you say, a Crown corporation, within the responsibility of the federal government — that's something that I particularly take extremely seriously," said the prime minister. "I commit to you that I will follow up on what you are talking about and we'll try and see if we can make some headway on that." Much like other events on the prime minister's town hall tour, Trudeau was quickly compelled to verbally joust with a heckler, who attempted to shout down the prime minister when he was answering a child's question about preserving species at risk. The woman was eventually removed by security. The prime minister was confronted by a Somali mother, overcome by emotion, who said several of her children had been taken away by child welfare workers in Manitoba and begged for Trudeau to do something to help her get her children back. Trudeau said that while the provinces are the main actors on the child welfare file, the federal government has certain responsibilities when it comes to child welfare and pledged he would look into her case. "I will commit that we will follow up on this terrible story," he said. "I am so sorry for the suffering you have gone through. "I can't imagine the suffering your kids have gone through and we will try and look into it, but I can tell you writ large that we know there is a real problem with kids in care with child and family services, not just here in Manitoba but across the country." The prime minister was also asked if he would intervene in the case of a gay Nigerian woman who is set to be deported back to her home country, where the questioner said she faced almost certain death. 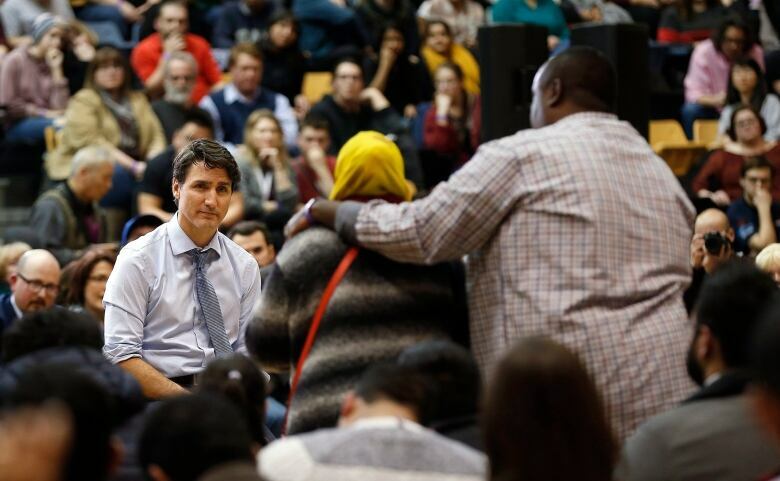 In his answer Trudeau brought up the case of Abdoul Abdi, a 23-year-old Somali refugee who came to Canada when he was six years old, who is now facing deportation because he served time in jail and does not have Canadian citizenship. Trudeau was made aware of the case at the Nova Scotia town hall when Abdi's sister asked him why his government was trying to deport her brother. The prime minister used Abdi as an example of individual cases the federal government is looking into. Trudeau then told the questioner that he would have Immigration Minister Ahmed Hussen look into the details of the Nigerian case, but could not comment specifically on its details. One questioner applauded Trudeau's decision to consider pardons for people with marijuana possession convictions once weed has been legalized, but asked the prime minister if he would consider expanding that consideration to dealers and traffickers as well. "I've said that we will look, after the law has been changed, at pardons for people who have been convicted for possession but we are we are not, at this time, thinking about pardons for people trafficking, or pushing or dealing." 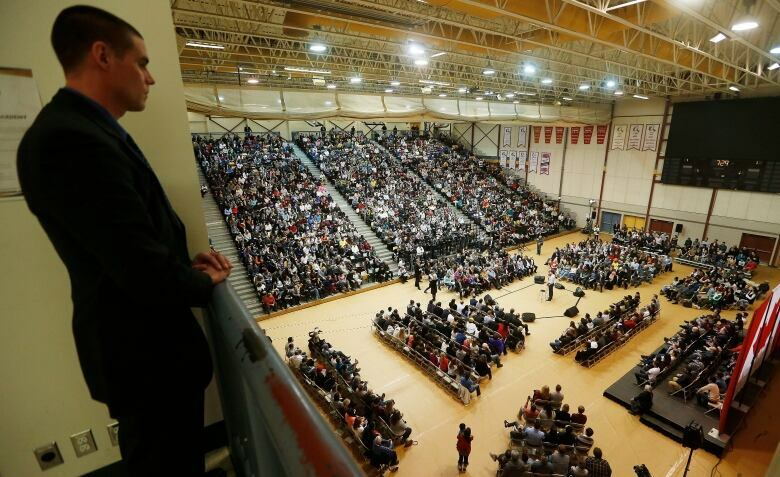 Trudeau's town hall tour has already seen him host events in the Halifax suburb of Lower Sackville, N.S., as well as London, Ont., Hamilton and Quebec City.